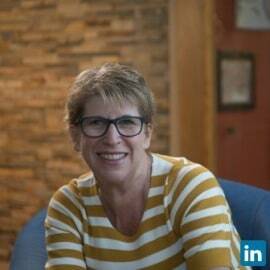 Karen Tilstra, PhD, is an inventor, a creativity researcher, coach, consultant, and trainer to large companies and their employees. She wants to live in a world where work is fast, people are free, and chocolate is devoid of calories; but, in the meantime she has co-founder of the award winning Florida Hospital Innovation Lab, (FHIL); who Florida Hospital Chief Strategy Officer, David Banks, believes is one the Florida Hospital’s most transformational initiatives. One year after launching FHIL Karen became the consulting founder of the Orlando Magic's Innovation Lab; and co-designer of the nation's first undergraduate degree in Innovation and Social Entrepreneurship offered at Rollins College located in Winter Park Florida. Her most recent project is founding the San Diego State University’s  Design Thinking Innovation Lab. Karen holds a PhD degree in Innovation and leadership. One of her competencies is creating innovative experiences for business professionals, university professors, students or anyone who wants to learn how to remain relevant in disruptive times. As an active  member in regional innovation and technology commercialization,  Karen speaking opportunities both nationally and internationally. Topics of for presenting target creating innovative teams, innovative spaces, and developing cultures of innovation. She has taught on the university level in both the USA and Asia and is currently a visiting professor at Rollins College. She is a licensed Educational Psychologist who ran a private practice for more then 10 years. She has also published in both academic journals and children's literature. Currently Karen serves on two boards, one for the Rollins College School of Business and the other is for Medical Partners, a European Start-Up incubator groups. A native Californian, Karen now lives in Florida with her artistic husband. They have three sons, plus Nick, the adopted dog, who their neighborhood regards as the world’s wackiest dog.